This past Friday, I experienced one of those moments that leave you forever changed. And it started off with uttering a frightening four letter word. While downtown, one of our party became separated from the rest of the group. We didn’t know where they were. It took two long hours for them to become found. In that time period, I got a glimpse into the Father heart of God which I could not have otherwise experienced. 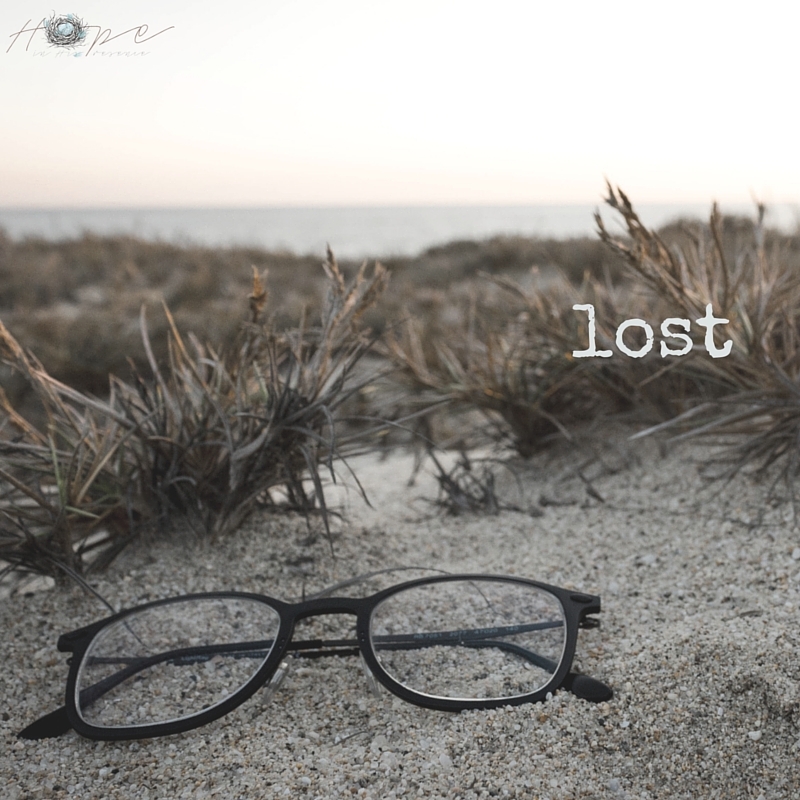 Every time I thought I spotted the missing loved one, my heart began to race a little faster as I eagerly leaned forward in anticipation. Only to be disappointed when it wasn’t the one I love. As time went on, I got increasingly weak legged at the thought of not seeing my loved one again, crying out again and again to God for His help. His strength. His voice to speak to that loved one and tell them to return to the store where we had originally arranged to meet . I didn’t pass out. I managed to mostly keep my wits about me. I only shook a bit and let the tears somewhat rise, knowing God was with me. Even if the worst case scenario happened and I never got the chance to say I love you to this one I adore again. And that’s when the full weight of His Father’s heart impacted mine. 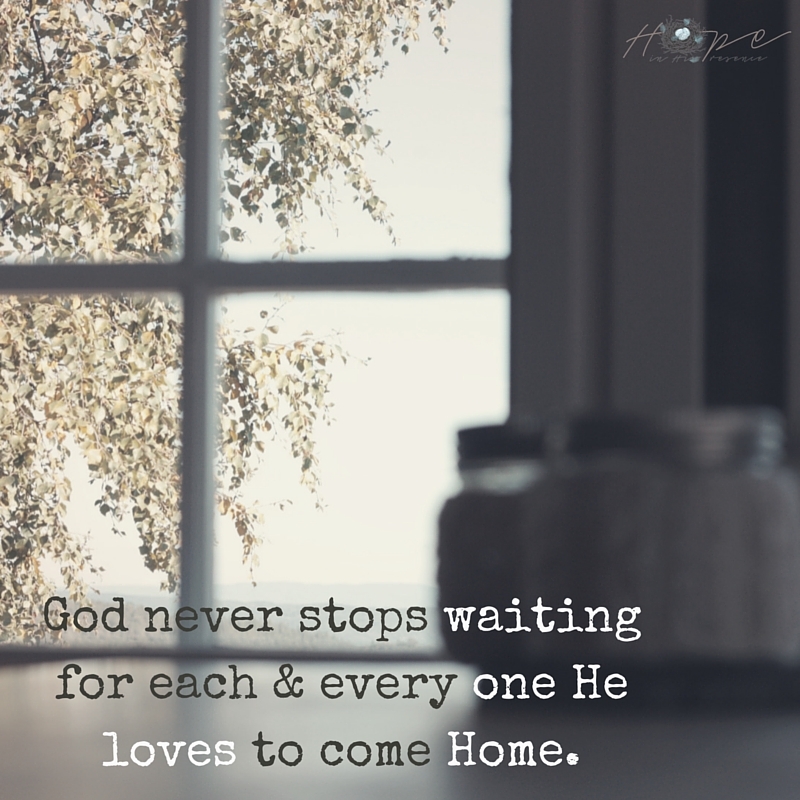 God never stops waiting for each and every one He loves to come Home. He never takes His eyes off the ones He loves, ever. His heart never gives up hope that they will be the next person He sees entering His vision. His arms never ceases to ache for our embrace. The love that hit me once I got glimpse of my prodigal nearly dropped me to my knees with joy. 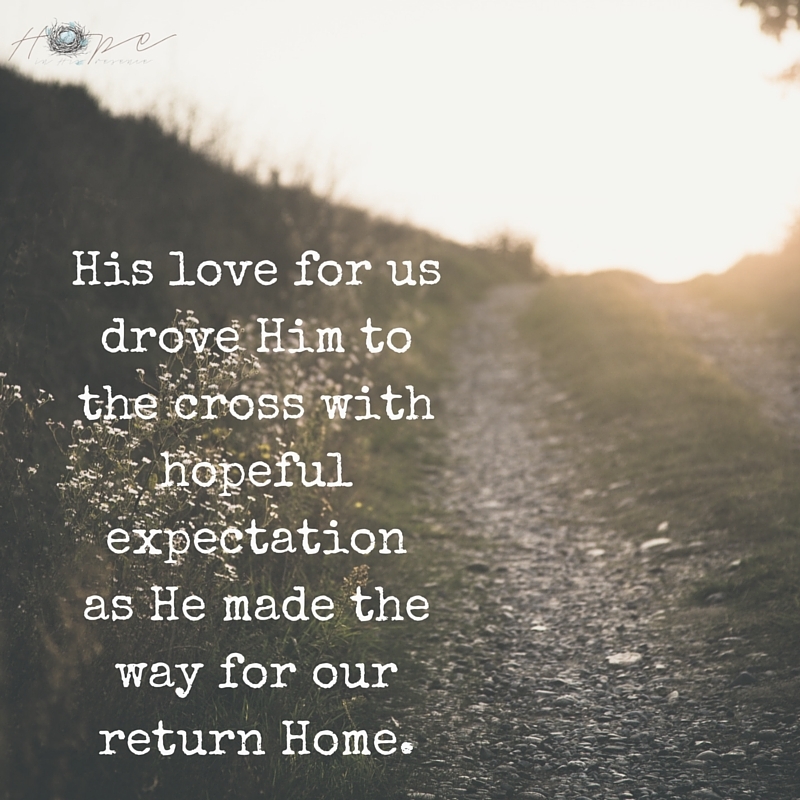 His love for us drove Him to the cross with hopeful expectation as He made the way for our return Home. Never once are we ever out of His sight. I, and you, can rest in that, no matter what. And the thing that I recall the most after everything settled and we made our way home? This loved one heard the prompt to return to the store one more time. Because I specifically prayed He would reveal that prompting, and my loved one stopped to ask God what they should do…. we were reunited. God was keeping an eye out for us even when we couldn’t see beyond the stress of this traumatic event. And Beloved? He will never take His eyes off of you too, ever. 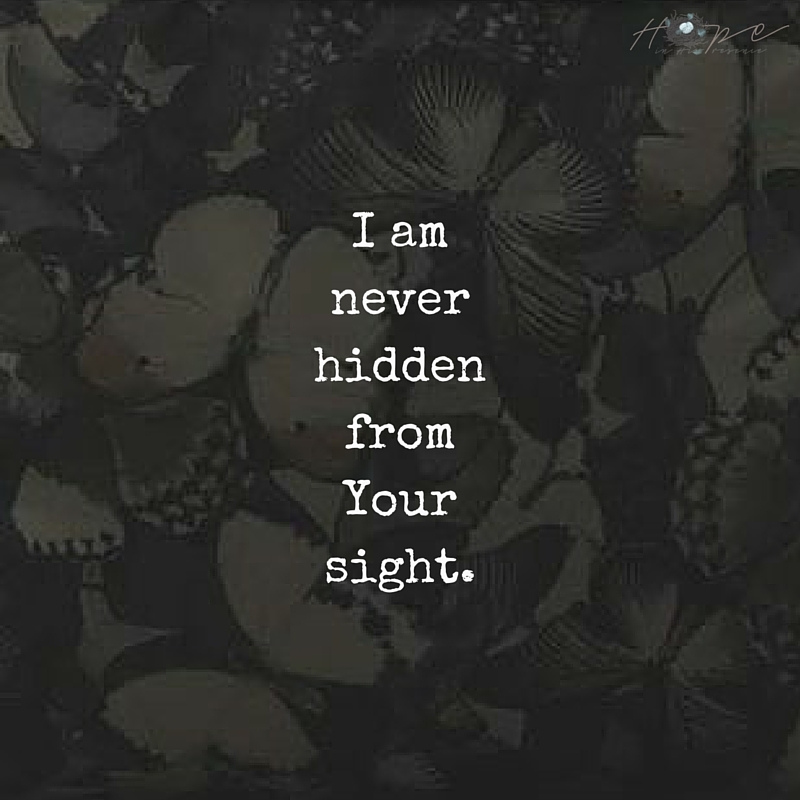 For we are never hidden from His sight. P.S. This material snapshot for the graphic right above these words is from the camouflage patterned purse I just bought at the mall. To remind myself there is nothing I can do to be ever hidden from Him! Wow this is inspiring. I like how God uses even our most traumatic moments for our good and His glory. I’m glad your loved one is safe.